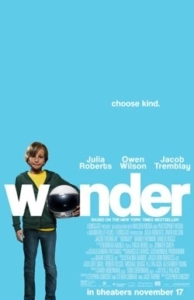 Media Mikes has teamed up with our friends at Lionsgate to give (20) readers and a guest the opportunity to attend the Kansas City premiere of “Wonder” starring Julia Roberts, Owen Wilson and Jacob Tremblay. All you have to do is go to: http://www.lionsgatescreenings.com/lHMAc89467 and download your pass. This is a first come/first serve giveaway. Once (20) admit 2 passes have been downloaded, the giveaway is over. When: Wednesday, November 15, 2017, 7:00 p.m.